Cypress Semiconductor Corporation (NASDAQ:CY), Intel Corporation (NASDAQ:INTC), Skyworks Solutions Inc (NASDAQ:SWKS) are the top three tech stocks of Jim Cramer in the past 30 days. Intel Corporation (NASDAQ:INTC) is another stock in the list of favorite tech stock picks of Jim Cramer and he mentioned it as a better technology stock at the moment. Cramer said that Intel Corporation (NASDAQ:INTC) would keep moving higher as it did in the last fiscal year. The chipmaker was in the lighting round of Jim Cramer’s Mad Money show. Cramer was hoping for positive news from the chipmaker and resultant upward movement. 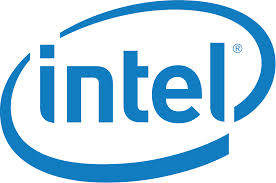 The stocks of Intel Corporation (NASDAQ:INTC) are trading at $36.76 with current P/E ratio of 17.55. Skyworks Solutions Inc (NASDAQ:SWKS) was another stock in the favorite tech stock picks of Jim Cramer. While talking at the Mad Money show, Cramer said, “This is an inexpensive stock going higher.” Cramer associated the success of Skyworks with Apple Inc. (NASDAQ:AAPL)’s iPhone sales and said that this stock is likely to go higher. The shares of Skyworks Solutions Inc (NASDAQ:SWKS) are trading at $74.08 at current P/E ratio of 31.17. The company has net market cap of $14.12 billion and 76% institutional ownership of the company. It offers dividends of up to 0.70%.